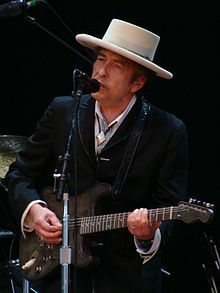 The Swedish Academy has been having a hard time personally contacting reclusive Duluth native Bob Dylan to tell him he has been awarded the Nobel Prize for literature, according to news reports. At this writing he has not personally acknowledged the great honor. The story of how that other Nobel literature laureate with Duluth connections, author Sinclair Lewis, was informed of his selection is well documented, and it’s quite amusing. It was described at the Sinclair Lewis Interpretive Center in Sauk Centre, Minnesota, the author’s birthplace. I visited the now closed center – as well as Lewis’ early family home there – several years ago and reviewed in one of the offerings just how the famous author learned he’d won the literature Nobel in 1930, the first American so honored. Who knows how Nobel officials will eventually contact Dylan directly, maybe with a simple telephone call. It was a simple telephone call that informed Lewis of the honor, and he had a hard time believing it was legitimate. When Lewis was selected, the Swedish Nobel authorities notified that Scandinavian nation’s consulate in Chicago and instructed personnel there to contact Lewis and inform him of the honor, according to the material at the Lewis center. The Chicago-based Swedish diplomat who contacted Lewis by telephone had a strong Swedish accent when he spoke English. When Lewis was told by the caller that he’d won the Nobel Prize in literature he simply didn’t believe it. He thought it was one of his friends putting on a Swedish accent to pull his leg. Lewis’ response was the same as that of any one of us who might receive a crank call, calling out the caller to admit it was a hoax. SWEDISH CALLER – Mr. LOOis, this is the Svedish consul calling from Chicago to inform you the good neuse that you have yust vun the Nobel Prize in literature. LEWIS – Is that so. Well thank you very much, friend. Now who is this? Elmer? Martin? George? Who’re you trying to kid? I can see right through that fake Swedish accent. CALLER – No, sir, this really is the Svedish consulate calling to tell you you have vun the Nobel Prize. I yust hope you believe me when I say this. LEWIS (ridiculing the caller) – Ya sure, you betcha. C’mon, who is this? It took Lewis awhile to settle down and realize it wasn’t a crank call. It really is an unlikely coincidence having two Nobel Prize winners in the same field with strong connections to Duluth. But for the record, neither Dylan nor Lewis lived here for very long. Born in Duluth in May 1941, Robert Allen Zimmerman (Dylan’s original name) resided here with his family until 1947 when he was six years old, moving to Hibbing that year. Lewis bought his mansion at 26th Avenue East and Second Street in 1944 but only stuck around the Zenith City until 1946, presumably within a few months of when the Zimmerman family moved to Hibbing. Duluth has honored Dylan with special commemorative manhole covers. It does nothing to honor Lewis for his association with the city. Most people around here have forgotten it, or never knew. NY Times story (10-13-2016) about Dylan's Nobel award: read HERE. 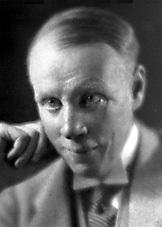 NobelPrize.org post about Sinclair Lewis & Nobel Prize Award for Literature in 1930: read HERE.